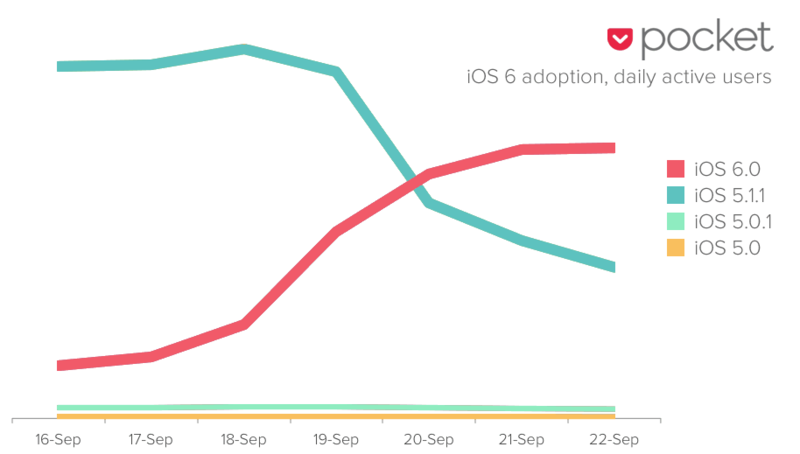 iOS 6 has only been available for less than a week and it is seeing a rate of adoption that Google, Microsoft, and other OS vendors can only dream about. The read it later service Pocket shared some details yesterday about their users. Speaking as someone who held on to Windows XP until it was pried from my fingers, I am a little surprised by the news. A full 63% of Pocket users are running the app on iOS6, making it both the single largest segment of users as well as the fastest adopted OS ever. That really comes as no surprise, given that Apple has boasted of 5 million units sold the first weekend. Most of the rest of Pocket's users are running the latest version of iOS5, wit negligible percentages attributed to earlier versions of iOS. Curiously enough, the new version of iOS may also be discouraging iPhone owners from upgrading. 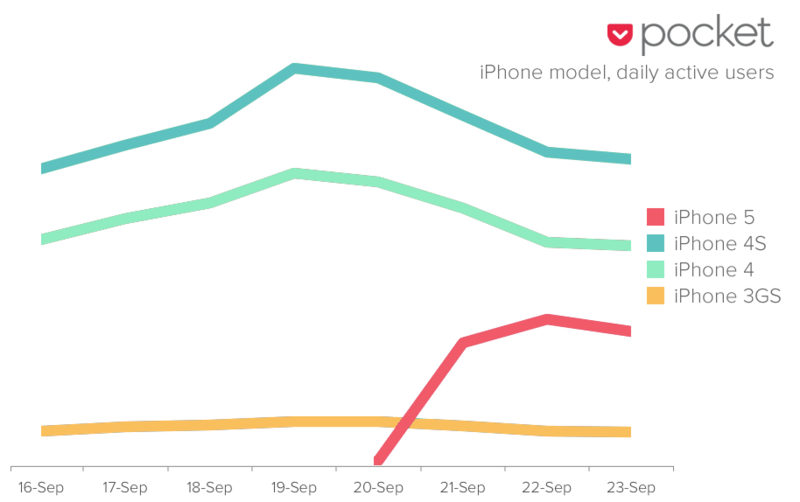 Pocket has also revealed a solid bump in new iPhone 5 owners, though that is far less impressive. Only about 20% of Pocket users now the new iPhone, and even greater numbers use the older iPhone 4 and iPhone 4s. Some are even using the iPhone 3GS to read saved articles in Pocket.